Last night I spent an amazingly fun evening at Bluebird Tea co in Brighton on Gardner street (I used to live on the same street actually!) with lots of lovely people, drinking lots of even lovelier tea. 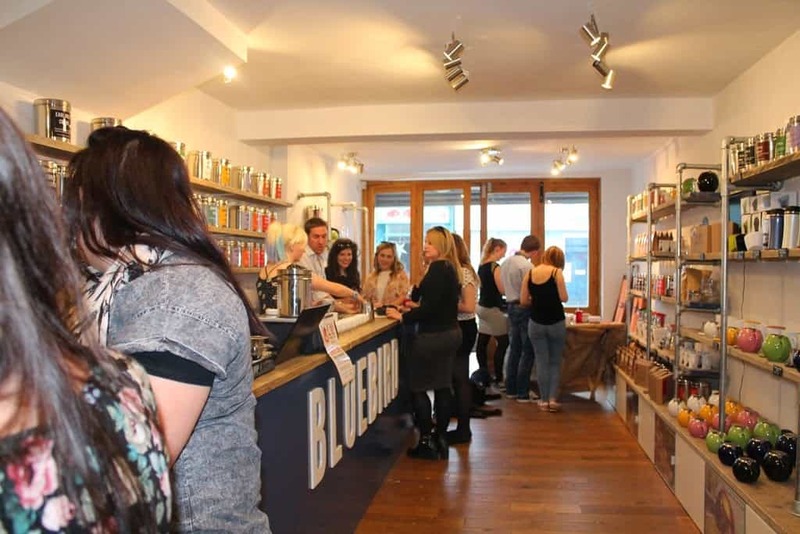 I’ve written about Bluebird Tea before if you wanted to have a look! 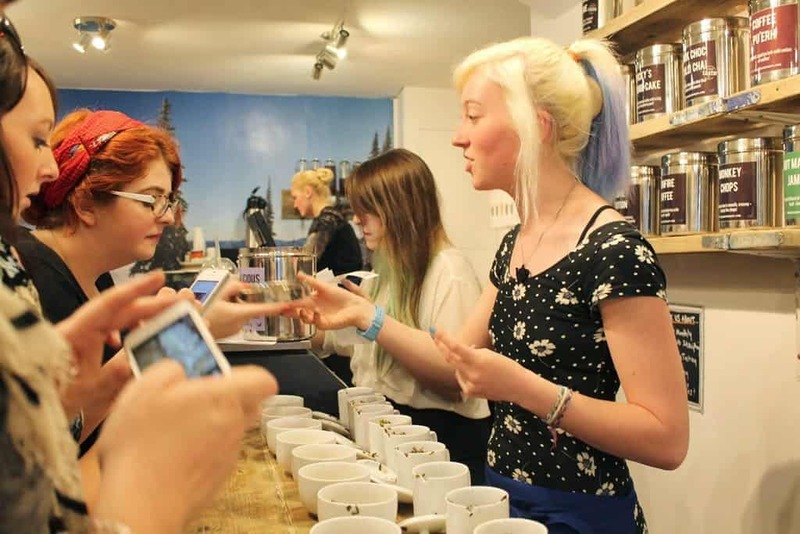 They invited some local lovelies down for a ‘Mixology’ evening in their recently opened shop. 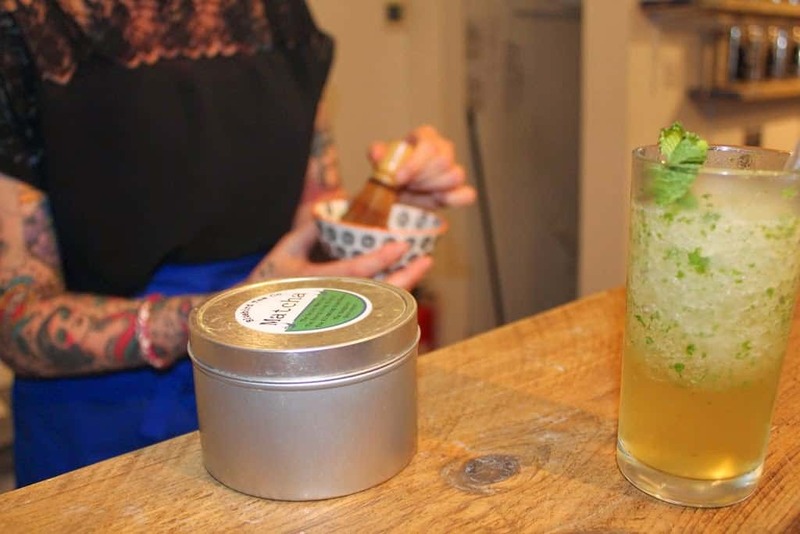 We had three tea related ‘lessons’, but the addition of cocktails definitely made them enjoyable! 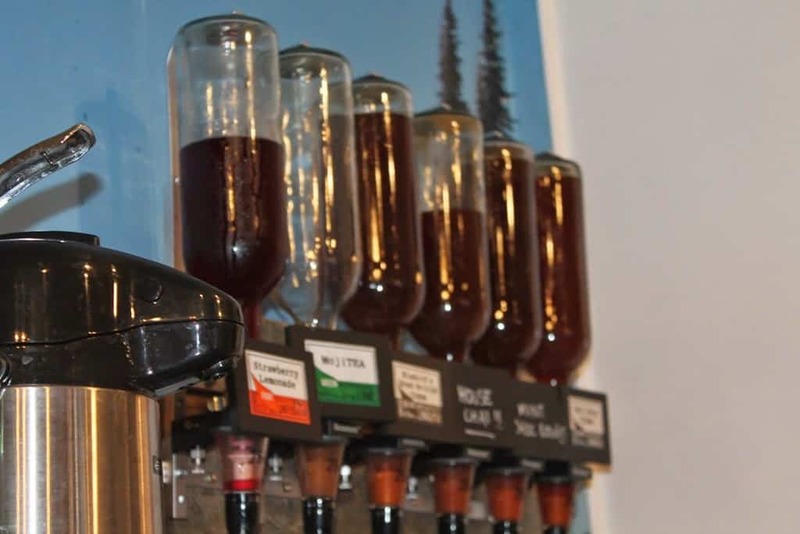 I should also mention that the cocktails were unlimited, very tasty and pretty potent too! A moji-tea was my favourite, of course! 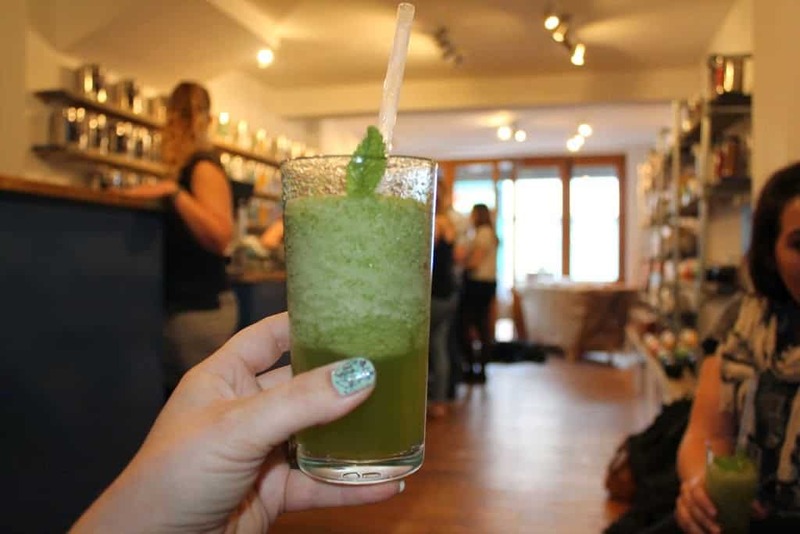 Firstly we learnt about matcha tea, where it comes from and what properties it has (in a nutshell its the best superfood there is and it helps monks meditate super long) and got to try out the 4 types that Bluebird have blended… regular, orange, lemon and super! 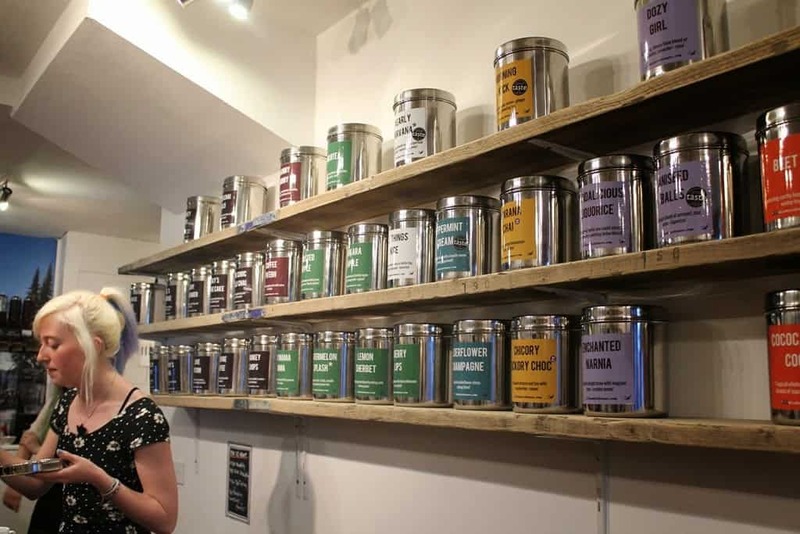 They were the first company in the UK to develop and produce a flavoured matcha (which is a good thing as the regular one is pretttttty strong tasting!) You can use matcha in cooking, as well as in smoothies and other drinks, here is a beginners guide. I have a pot of the super matcha which I plan to experiment with! Even better is that if you use the code BELLEDUMATCHA on their website you can get 20% off Matcha tea and any related products! Next up was a little background from Mark (one of the founders) who clearly knows his stuff! He explained the different types of tea, and why black is different from green etc. I must give special props to Steph too for her superb but random knowledge of all things tea too! 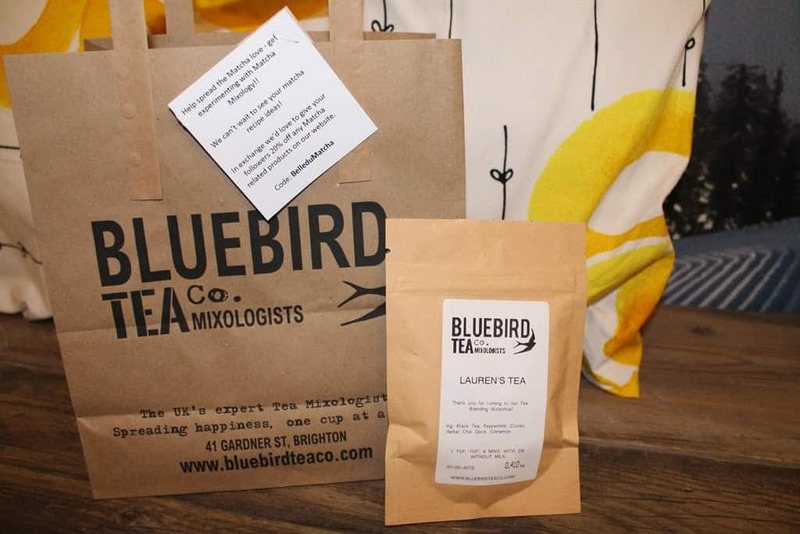 Before we left we got to blend our very own tea, mine was imaginatively called ‘Laurens tea’ and is a peppermint chai blend of black tea, with a dash of cinnamon and some cloves… I can’t wait to try it! 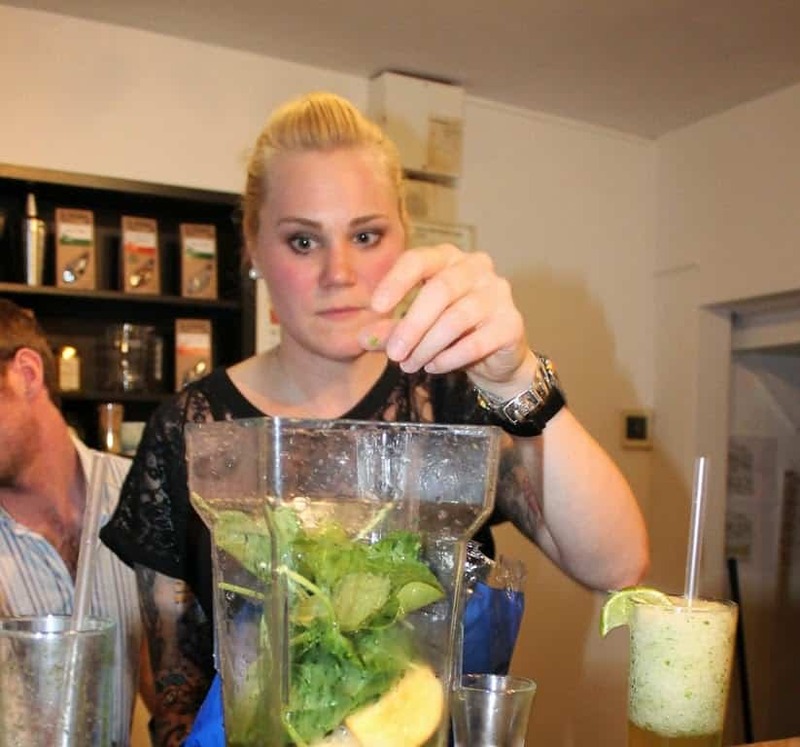 So a huge thank you to Krisi, Mike and their team of knowledgeable and awesome mixologists! 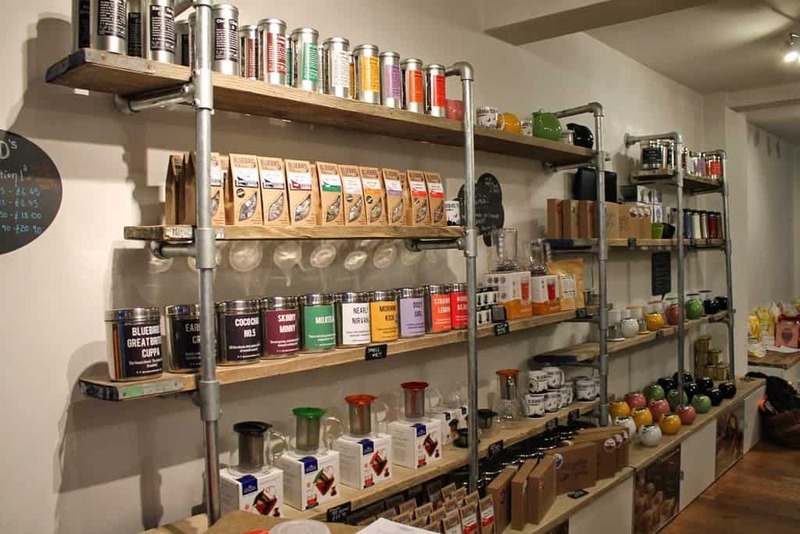 If you are local, or visiting please please pop in and smell/taste/buy some tea, you won’t regret it, and if you’re not visiting any time soon then you can buy via their website. 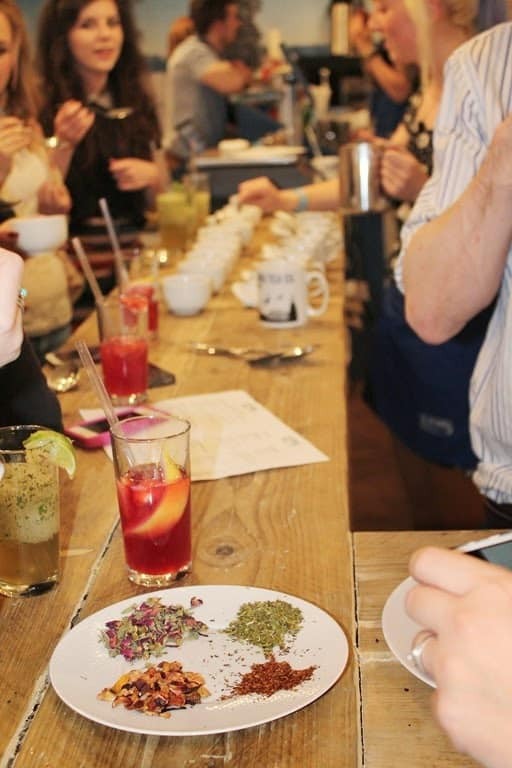 They run Mixology classes like this once a month, with UNLIMITED COCKTAILS AND TEA! what are you waiting for? hit them up on twitter and facebook too! 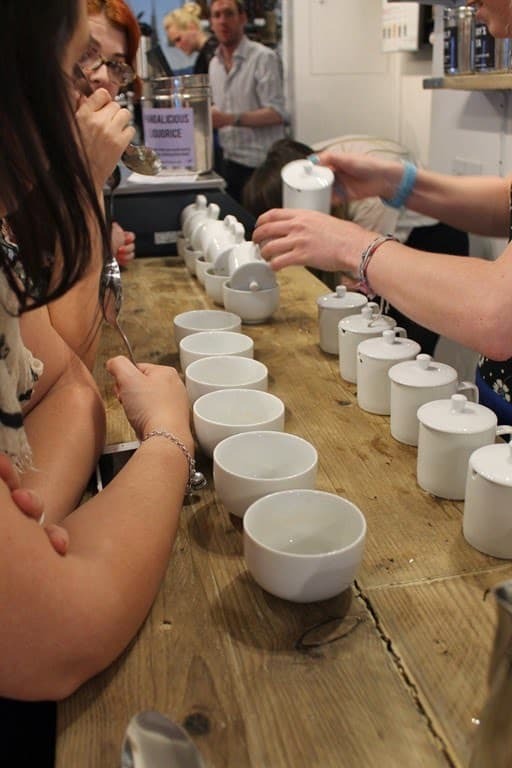 Looks like fun – who knew there were so many ways to enjoy a good ol’ cuppa!